This rugged universal tow bar is fully collapsible for easy storage and crafted from heavy duty steel for long lasting durability. The secure locking heavy duty coupler is designed for a 2 inch ball, and allows for adjustment of the coupler on the bars. Coupler is rated 5000 lb class 3. Bars are powder coated black. Mounting brackets are required for installation, see #242-81 below. Bar collapses for easy storage. Bar can be mounted to any flat surface for easy access when needed. One of the nice features this collapsible tow bar offers to many of you multiple Cruiser owners...you can own one tow bar, and use it on several vehicles. Just buy an extra set of mounting brackets and you are ready to tow! Fits all 40 Series. These Tow Bar Mounting Brackets are designed to fit Collapsible Tow Bar (#242-80). 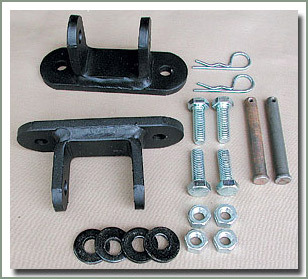 These heavy duty brackets are powder coated black for long lasting durability. 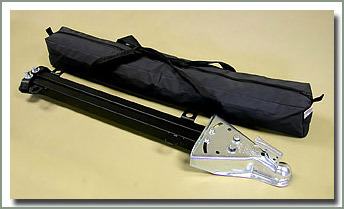 Designed to fit any strong steel bumper, properly supported to the frame, they will work well for any flat bumper. Snapper pins make disconnecting a breeze. Now you can grab your tow bag and go tow! Store & carry your Collapsible Tow Bar in style. This durable Tuff Duck Tow Bar Bag makes a convenient way to stow your tow bar, brackets, safety chains, gloves, and towing lights. Have everything you need handy ready to go. 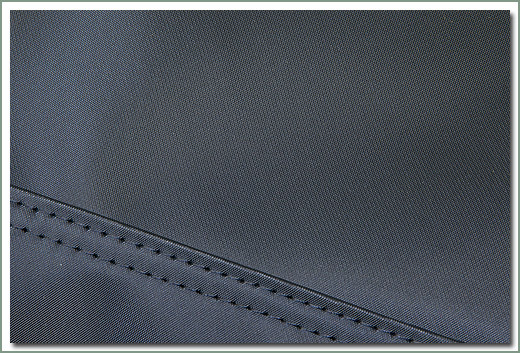 Tow bag has full length easy access zipper, 2 inch heavy duty handle straps. Bag measures 46-inch x 7-inch x 5.5-inch.